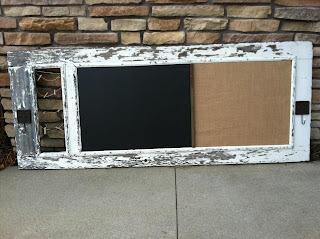 I made this message center from an old farmhouse door. It has been scraped, sanded and clear coated and given a new lease on life! On each end are cast iron and porcelain hooks for hanging keys, hats, scarves...oh the possibilities! The narrow "window" of the message center adorns rustic twine and mini clothespins for hanging small pictures, business cards, notes, etc. 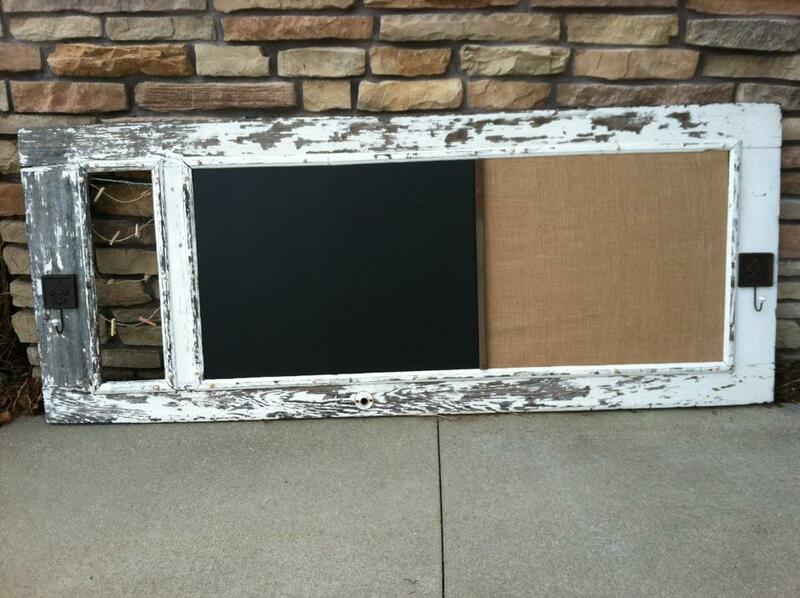 There is also a large chalkboard and a bulletin board covered in burlap. I have installed screw eyes and braided wire, so you can hang it on your wall today! This would look fabulous over a desk or on a large wall in a high traffic, high visibility area of your home for daily use, or as a beautiful accent piece.